The creation model provides a valuable framework for evaluating the role of genetic changes in animals and man. Recognizing the population bottleneck which occurred in land animals at the time of the Flood, it is clear that genetic variation was once more limited than it is today. Here, variation in the agouti signaling protein gene is evaluated. In general, activating mutations result from regulatory changes, while loss of function mutations can result from regulatory changes and/or amino acid substitutions. The effects can vary widely. Various activating mutations are associated with the valuable white phenotype in domestic sheep, the adaptive coloration that arose in Oldfield mice, and negative pleiotropic effects in yellow lab mice. It appears that a number of different mechanisms are involved in genetic rearrangements that have potentially useful effects. Further research should help uncover a better understanding of how and why these rearrangements occur as well as a more detailed understanding of their effects. The benefits of this knowledge could range from aiding in the development of livestock suited to unusual environmental conditions to avoiding or mitigating the effects of deleterious mutations. The creation model provides a valuable framework for evaluating the role of genetic mutations throughout history. The account of the Flood gives a description of a severe genetic bottleneck. 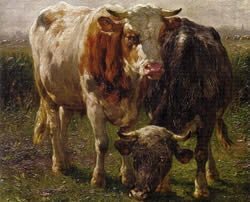 Populations of the various kinds of unclean land animals (essentially all non-ruminants; Leviticus 11 ; Deuteronomy 14:1–8 ) were reduced to a single breeding pair. The human and clean animal populations were dramatically reduced as well ( Genesis 7 ). This places clear limitations on the amount of genetic variability that could have existed at the end of the Flood. Using this information, it has been shown that considerable karyotypic diversity has arisen within some kinds (Lightner 2008a; Lightner 2009). Some genes show evidence of increased diversity as well (Lightner 2008b; Lightner 2009). There remains a tremendous need for more detailed studies of within kind genetic variability to determine the types of changes that have occurred, their importance in enabling life to adapt, and the various costs associated with the genetic changes. This may help uncover underlying factors and mechanisms facilitating these changes. This understanding could lead to many practical benefits ranging from improved development of livestock for environmentally challenging conditions to recognition of factors increasing the likelihood of high risk genetic changes so those factors can be avoided. My previous paper described variability within the gene encoding the melanocortin 1 receptor (MC1R; Lightner 2008b). In this paper the gene responsible for the agouti signaling protein (ASIP) is investigated. The ASIP acts as an antagonist (or inverse agonist)1 by binding the MC1R and preventing its ligand, a-MSH, from binding. This prevents the activation of a biochemical pathway that switches melanin synthesis from the lighter (yellow to red) pheomelanin to the darker (brown to black) eumelanin. In many mammals the ASIP gene is expressed during the middle of the hair cycle resulting in a subapical yellow band in the hair shaft that is otherwise black. From a distance, this gives the coat an overall brownish appearance. This classic agouti pattern is the wild-type phenotype in mice and a number of other mammals (Argeson, Nelson, and Siracusa 1996). Although ASIP only codes for a small protein ranging from 131 to 135 amino acids in the mammals studied to date, the structure of the gene is far more complex than the MC1R locus. While MC1R is a single exon gene, ASIP usually consists of 4 exons separated by large introns. Exons 2–4 are coding exons. Several different promoters determine which of several 5'-untranslated exons will be included in the transcript (Fig. 1). Four different 5' untranslated exons have been identified in mice; three were found in pigs. Each of these untranslated exons has been identified in different transcripts followed by exons 2–4. Transcripts have also been identified with two untranslated exons (1A and 1A') followed by the coding exons. In pigs, a transcript was found containing the previous gene and none of the untranslated exons (Argeson, Nelson, and Siracusa 1996; Drögemüller et al. 2006). In cattle one transcript includes information from 3 untranslated exons. Another transcript includes portions of these (the latter portion of the second and all of the third) as well as the intervening 489 base pair (bp) segment. A third transcript was identified with a more typical pattern, a single untranslated exon followed by the coding exons (Girardot et al. 2005). The ASIP locus has been most intensively studied in the mouse. It is located on chromosome 2 (MMU 2) and encodes a 131 amino acid product. It is normally expressed in the skin of neonates and in the testes and regenerating hair follicles of adults. Expression varies according to which promoter is used. Transcripts containing hair cycle specific exons (1B or 1C; Fig. 1) are transiently expressed throughout the skin early in neonatal life and result in the typical agouti color pattern. Transcripts containing ventral specific exons (1A and/or 1A') are continuously expressed in the ventral skin resulting in a lighter color to the belly of the animal. The agouti allele (A) only results in expression of hair cycle specific transcripts, thus resulting in agouti coloration over the entire mouse. The white-bellied agouti allele (Aw) results in expression of both types of transcripts yielding agouti coloration dorsally and a pale cream coloration ventrally. Both alleles are found in wild and laboratory mice, although A is generally more common. However, since the A allele appears to be related to a loss of function, the white-bellied agouti (Aw) has come to be regarded as the wild-type (Bultman et al. 1994; Sandulache, Neuhäuser-Klaus and Favor 1994). The ventral specific exons are located within a 3.1 kb region that is duplicated in the opposite orientation further upstream in the Aw allele. This creates an interrupted palindrome approximately 22 kb in length which is inverted in the A allele. The duplicated sequences of the palindrome ostensibly provide the means for intrachromosomal homologous recombination to account for the inversion. As a result the ventral specific exons are oriented in an antisense direction in the A allele, explaining the lack of functional ventral specific transcripts (Chen, Duhl, and Barsh 1996). Fig. 1. Genomic structure of the ASIP gene in mice and pigs (after Miltenberger 2002 and Drögemüller 2006). Exons are represented as boxes. Multiple transcripts have been detected in both species which include one or more of the first exons followed by the coding exons 2–4. An interesting phenotype associated with gain of function mutations is dominant yellow which is associated with obesity, type II-like diabetes, and increased susceptibility to cancer. The yellow coat color is the result of constitutive expression that blocks the MC1R, thus preventing eumelanin production. Obesity results from ectopic expression in the brain where the ASIP molecule inhibits the MC4R and blocks the signals for satiety. The tumerogenic effect is also associated with ectopic expression, but via a separate mechanism since it appears in tissues where MC4R is not expressed. It has been suggested that ASIP may affect the transcription of genes regulating cell proliferation (Wolff et al. 2007). There are six alleles associated with the dominant yellow phenotype. One is called lethal yellow (Ay). This is the result of a large deletion which eliminates the previous (5') gene, RALY, and places the ASIP gene under the influence of the strong RALY promoter. RALY has been shown to be necessary for proper embryonic development, which explains why this mutation is lethal in the homozygote (Duhl et al. 1994). Four dominant alleles (viable yellow, Avy; intermediate yellow, Aiy; intracisternal A-particle yellow, Aiapy; and hypervariable yellow, Ahvy) are the result of an intracisternal A-particle (IAP) insertion. An IAP is an endogenous retroviral-like element that can be copied from one place in the genome and inserted elsewhere via an RNA intermediate and reverse transcriptase. Each of theses four alleles has the IAP in a different location prior to the coding exons, and all insertions are in the antisense direction. Transcription originates from a cryptic promoter in the 5' long terminal repeat (LTR) of the IAP. Since this promoter is stronger than the normal ASIP promoter, it creates a dominant allele. The sixth allele (sienna yellow, Asy) is also the result of an insertion, in this case of a novel sequence upstream from exon 2 (Argeson, Nelson, and Siracusa 1996; Michaud et al 1994). Interestingly, not all animals carrying one or more of the above alleles exhibit the dominant yellow phenotype. The expression of the gene can be modified by epigenetic factors. Mice exhibiting a darker (pseudoagouti) phenotype have been found to have more methylated CpG sites within the IAP. These mice have lower levels of ASIP expression. The phenotype of females carrying this dominant allele influences the phenotype of the offspring. In other words, pseudoagouti females tend to have a higher percentage of pseudoagouti offspring and yellow females have a higher percentage of yellow offspring even when the genotype is identical. Furthermore, supplementation during the early prenatal period with methyl donors, such as folic acid and vitamin B12, increased the number of offspring with the pseudoagouti phenotype (Michaud et al 1994; Waterland and Jirtle 2003). Loss of function alleles also occur. Many of these mutations were induced through radiation or chemical mutagens. The phenotypic effects range from mild darkening to completely black fur depending on the allele involved. Miltenberger et al. (2002) investigated 25 of these recessive alleles, two of which arose from spontaneous mutations, and found that about half (56%) had changes within the protein coding region. Both nucleotide changes and indels were observed. The majority of null mutations (black phenotype) were found to affect the cysteine rich C-terminus and thus disrupt the ICK characteristic of this protein. Black mice homozygous for the original nonagouti allele (a/a) have been shown to undergo a relatively high rate of mutation to black-and-tan (at) or reversion to the wild type, white-bellied agouti (Aw) allele. Bultman et al. (1994) identified an 11 kb insertion in the a allele prior to codon 2. It consisted of a 5.5 kb VL30 element (retroviral-like transposable element) with an internal 5.5 kb sequence flanked by 526 bp direct repeats. Mutation to the at allele is associated with excision of the internal sequence and one of the flanking regions. Reversion to the Aw allele is associated with the excision of all except one LTR of the VL30. The authors suggest that intrachromosomal homologous recombination can account for both changes with the 526 bp direct repeats being used to generate the at allele and the VL30 LTR being used to generate the Aw allele. Sandulache, Neuhäuser-Klaus and Favor (1994) mention that the conversion of the a allele to Aw can be increased by a factor of 15 using irradiation or ethylnitrosourea (ENU) treatment in homozygous (a/a) mice. They also provide evidence that in mice carrying the (A/a) genotype, the conversion rate to the Aw allele is several orders of magnitude higher. This appears to occur via crossing over between homologous chromosomes. The ASIP locus in the pig is on chromosome 17 (SSC 17q21) and also encodes a 131 amino acid paracrine signaling molecule. The structure of the gene is similar to the mouse, but only three non-coding exons were identified compared to four in the mouse. Drögemüller et al. (2006) studied swallow-bellied Mangalitza pigs which have a black-and-tan phenotype very similar to that found in mice. Dorsally the pigmentation is black; ventrally it is yellow or white, with a distinct lateral line of demarcation between the two. All transcripts identified were found in both the dorsal and ventral skin of these pigs, however, the expression was generally over four fold higher ventrally. This is in contrast with the nearly uniform expression level in the Hampshire pig examined (which was ostensibly homozygous for the wild type allele). Thus, the lighter ventral coloration in the black-and-tan pigs is clearly associated with greater ASIP expression ventrally, but not from ventral specific transcripts as in the mouse. Using Mangalitza × Piétrain crosses, five haplotypes were deduced for the ASIP in the offspring: three involving the dominant (A) allele and two with a recessive (at) allele. None of the polymorphisms found in the fully sequenced exons or partially sequenced intronic regions were associated with coat color differences. The authors suggest an unidentified regulatory mutation as the cause of differential ASIP expression within black-and-tan (at/at) individuals. They also noted that the sequenced region was high in repetitive elements (56%), much of which was attributable to long interspersed element (LINE) sequences (23.8%). This created difficulties in systematic mutational analysis of the first intron as the many full length LINE sequences interfered with PCR techniques. The ASIP in the dog (Canis familiaris) is found on chromosome 24 (CFA 24) and encodes a predicted 131 amino acid product. A dominant yellow-tan phenotype with variable expression of dark hairs, sometimes referred to as fawn or sable, is associated with two amino acid substitutions, A82S and R83H. It is unclear if either or both of these substitutions are actually causative (Berryere et al. 2005). If so, it would be the only case of a dominant ASIP allele resulting from a change in amino acid sequence. A recessive black phenotype found in German Shepherds and a few other breeds is associated with a R96C substitution (Kerns et al. 2004). A black-and-tan allele also exists, although no differences were detected in the coding region relative to the wild-type allele (Berryere et al. 2005). Coyotes (Canis latrans) have been shown to carry four different nucleotide polymorphisms relative to dogs; three are in non-coding regions, and one is a silent substitution within exon 4 (Schmutz et al. 2007). Thus, even within the genus Canis more than four alleles exist at the ASIP locus. The dog ASIP was found to be very similar to that of the red fox (Vulpes vulpes) from immediately prior to the first coding exon (exon 2) through the 3' UTR. Only two amino acid residues differ between ASIP in the two species, at codons 90 and 130, which are not conserved in other species. In contrast, the exon 1 region exhibited no similarity between the two species (Kerns et al. 2004). Since multiple transcripts were not described in either species, it may be that a different promoter has come to be species specific in these canids. This is supported by the observation that the dog contains sequences very similar to the fox exon 1 further upstream from the exon 1 expressed (Kerns et al. 2004). An allele was identified in the fox involving the deletion of the ASIP exon 2. This recessive allele is predicted to destroy the function of the ASIP and is associated with the melanistic Standard Silver phenotype. Frameshifting deletions have been found to produce a recessive black phenotype in other species as well (for example, rat, cat, and horse; summarized in Norris and Whan 2008). In the laboratory mouse the MC1R is generally epistatic to the ASIP. This means that when mutations in these two genes would predict conflicting phenotypes, the MC1R will determine the actual phenotype (Table 1). For example, an activating mutation in the MC1R will result in a black phenotype regardless of ASIP genotype. An exception to this rule appears in the red fox. Animals heterozygous for an activating MC1R mutation still exhibit pheomelanin expression in combination with a wild-type ASIP allele (Våge et al 1997). Furthermore, an example of reverse epistasis was identified in Oldfield mice (Peromyscus polionotus) where a partial loss of function MC1R allele was silent unless combined with an activating ASIP mutation that increased mRNA expression of the latter (Steiner, Weber, and Hoekstra 2007). Thus MC1R and ASIP interaction can be variable and depends on the specifics of the mutations involved. A 190 kb tandem duplication involving the ASIP gene is responsible for the white phenotype found in domestic sheep, a trait that is highly valued and characteristic of many sheep breeds. This appears to have resulted from homologous recombination between two SINE sequences. The duplication resulted in a second ASIP gene following the ITCH promoter. This causes ASIP expression in all tissues sampled (that is, skin, liver, kidney, heart, and spleen; Norris and Whan 2008). Ubiquitous expression of the ASIP gene has also been identified in cattle (the preceding tissues plus brain and lung were sampled; Girardot et al. 2005) and humans (adipose tissue, ovary, testis, heart and lower levels in liver, kidney and foreskin; Kwon et al. 1994; Wilson et al. 1995). In contrast to the situation in mice, this ubiquitous expression does not appear to have any negative effects. It has been suggested that ASIP may also play some role in energy homeostasis in these species. Table 1. Effect of various mutations in the MC1R and ASIP genes on phenotype. Black hairs are the result of eumelanin production from MC1R signaling. Lighter phenotypes generally result from proportionally greater pheomelanin production (yellow to red), although the influence of other loci may result in white (as with wool in sheep). Commonly MC1R is epistatic to ASIP, although exceptions have been found. Given the number and type of alleles present in the ASIP gene of unclean animals, diversity at this locus has clearly increased since the Flood when a maximum of four alleles would have been carried by the pair on the Ark. This is similar to the situation previously described in the MC1R (Lightner 2008b). There are interesting differences in the pattern of the changes between these two loci. In the MC1R, both activating and loss of function mutations were identified which were attributable to amino acid substitutions in the protein molecule. In the ASIP, all activating changes (with a possible exception in the dog) appear to be regulatory in nature. Some loss of function mutations are ascribed to regulatory changes while others appear to result from amino acid substitutions. This pattern is consistent with that found in Oldfield mice where MC1R amino acid differences and ASIP expression level differences were correlated with adaptive color variation found in a beach dwelling subspecies (Steiner, Weber, and Hoekstra 2007). Indels occur in both MC1R and ASIP. Loss of function alleles were identified with frameshift mutations at both loci. In frame indels in MC1R were associated with activating mutations. In ASIP a number of indels are associated with activating mutations in the mouse and so far all appear in the regulatory region. These include several involving mobile genetic elements. Inversion, duplication and various forms of homologous recombination also play a role in variability within this gene. This brings us to the important question of what role complex genetic changes play in the adaptation of life in earth. The effects of the ASIP mutations vary tremendously. Some of the changes are adaptive and/or provide interesting variety without known deleterious effects. Ubiquitous expression is associated with surprisingly different effects depending on the species affected; in mice the resulting yellow phenotype is associated with detrimental pleiotropic effects, yet in domestic sheep the resulting valuable white wool is not associated with any obvious pleiotropic effects. Many have viewed mobile genetic elements as parasites, and DNA methylation as the host’s attempt to silence these intruders (Cropley and Martin 2007). The pleiotropic effects of the IAP insertions causing ubiquitous ASIP expression in the mouse seem to support this conjecture. However, the VL30 insertion, resulting in a loss of function ASIP allele, is not associated with pleiotropy and allows for reversion to several phenotypes including the wild-type. Much of the genome of mammals appears to be comprised of mobile genetic elements, and the functions of these vary. Some evolutionists and creationists argue that mobile genetic elements may have played an important role in genetic reorganization that has allowed for significant adaptive changes (von Sternberg and Shapiro 2005; Wood 2003). From the evidence presented here, it appears that a number of different mechanisms are involved in various genetic rearrangements that can be useful (as in white wool) or adaptive (the camouflage color in beach dwelling Oldfield mice). A few of these come with significant deleterious effects depending on the specifics of the mutation and species involved. Further research characterizing the pattern of changes in various types of genes and the factors influencing those changes are important to advance the creation model and derive information useful in the benefit mankind. Argeson, A. C., K. K. Nelson, and L. D. Siracusa. 1996. Molecular basis of the pleiotropic phenotype of mice carrying the hypervariable yellow (Ahvy) mutation at the agouti locus. Genetics 142:557–567. Retrieved April 21, 2009, from http://www.genetics.org/cgi/reprint/142/2/557. Berryere, T. G., J. A. Kerns, G. S. Barsh, and S. M. Schmutz. 2005. Association of an agouti allele with fawn or sable coat color in domestic dogs. Mammalian Genome 16:262–272. Bultman, S. J., M. L. Klebig, E. J. Michaud, H. O. Sweet, M. T. Davisson, and R. P. Woychik. 1994. Molecular analysis of reverse mutations from nonagouti (a) to black-and-tan (at) and white-bellied agouti (Aw) reveals alternative forms of agouti transcripts. Genes & Development 8:481–490. Retrieved April 21, 2009, from http://genesdev.cshlp.org/content/8/4/481.long. Chen, Y., D. M. J. Duhl, and G. S. Barsh. 1996. Opposite orientations of an inverted duplication and allelic variation at the mouse agouti locus. Genetics 144:265–277. Retrieved April 21, 2009, from http://www.genetics.org/cgi/reprint/144/1/265. Cropley, J. E., and D. I. K. Martin. 2007. Controlling elements are wild cards in the epigenomic deck. Proceedings of the National Academy of Sciences, USA 104:18879–18880. Retrieved April 21, 2009, from http://www.pnas.org/content/104/48/18879.long. Drögemüller, C., A. Giese, F. Martins-Wess, S. Wiedemann, L. Andersson, B. Brenig, R. Fries, and T. Leeb. 2006. The mutation causing the black-and-tan pigmentation phenotype of Mangalitza pigs maps to the porcine ASIP locus but does not affect its coding sequence. Mammalian Genome 17:58–66. Duhl, D. M., M. E. Stevens, H. Vrieling, P. J. Saxon, M. W. Miller, C. J. Epstein, and G. S. Barsh. 1994. Pleitropic effects of the mouse lethal yellow (Ay) mutation explained by deletion of a maternally expressed gene and the simultaneous production of agouti fusion RNAs. Development 120:1695–1708. Retrieved April 21, 2009, from http://dev.biologists.org/cgi/reprint/120/6/1695. Girardot, M., J. Martin, S. Guibert, H. Leveziel, R. Julien, and A. Oulmouden. 2005. Widespread expression of the bovine agouti gene results from at least three alternative promoters. Pigment Cell Research 18:34–41. Kerns, J. A., J. Newton, T. G. Berryere, E. M. Rubin, J. F. Cheng, S. M. Schmutz, and, G. S. Barsh. 2004. Characterization of the dog agouti gene and a nonagouti mutation in German Shepherd dogs. Mammalian Genome 15:798–808. Kwon, H. Y., S. J. Bultman, C. Löffler, W. J. Chen, P. J. Furdon, J. G. Powell, A. L. Usala, W. Wilkison, I. Hansmann, and R. P. Woychik. 1994. Molecular structure and chromosomal mapping of the human homolog of the agouti gene. Proceedings of the National Academy of Sciences, USA 91:9760–9764. Lightner, J. K. 2008a. Karyotype variability within the cattle monobaramin. Answers Research Journal 1:77–88. Retrieved April 20, 2009, from http://www.answersingenesis.org/contents/379/Karyotype_Variability_Cattle.pdf. Lightner, J. K. 2008b. Genetics of coat color I: The melanocortin 1 receptor (MC1R). Answers Research Journal 1:109–116. Retrieved April 20, 2009, from http://www.answersingenesis.org/articles/arj/v1/n1/coat-color. Lightner, J. K. 2009. Karyotypic and allelic diversity in the canid baramin (canidae). Journal of Creation 23(1):94–98. McNulty, J. C., P. J. Jackson, D. A. Thompson, B. Chai, I. Gantz, G. S. Barsh, P. E. Dawson, and G. L. Millhauser. 2005. Structures of the agouti signaling protein. Journal of Molecular Biology 346:1059–1070. Michaud, E. J., M. J. van Vugt, S. J. Bultman, H. O. Sweet, M. T. Davisson, and R. P. Woychik. 1994. Differential expression of a new dominant agouti allele (Aiapy) is correlated with methylation state and is influenced by parental lineage. Genes & Development 8:1463–1472. Retrieved April 21, 2009, from http://genesdev.cshlp.org/content/8/12/1463.long. Miltenberger, R. J., K. Wakamatsu, S. Ito, R. P. Woychik, L. B. Russell, and E. J. Michaud. 2002. Molecular and phenotypic analysis of 25 recessive, homozygousviable alleles at the mouse agouti locus. Genetics 160:659–674. Retrieved April 21, 2009, from, http://www.genetics.org/cgi/reprint/160/2/659. Norris, B. J., and V. A. Whan. 2008. A gene duplication affecting expression of the ovine ASIP gene is responsible for white and black sheep. Genome Research 18:1282–1293. Retrieved April 21, 2009, from http://genome.cshlp.org/content/18/8/1282.full.pdf. Sandulache, R., A. Neuhäuser-Klaus, and J. Favor. 1994. Genetic instability at the agouti locus of the mouse (Mus musculus) I. Increased reverse mutation frequency to the Aw allele in A/a heterozygotes. Genetics 137:1079–1087. Retrieved April 21, 2009, from http://www.genetics.org/cgi/reprint/137/4/1079. Schmutz, S. M., T. G. Berryere, J. L. Barta, K. D. Reddick, and J. K. Schmutz. 2007. Agouti sequence polymorphisms in coyotes, wolves and dogs suggest hybridization. Journal of Heredity 98:351–355. 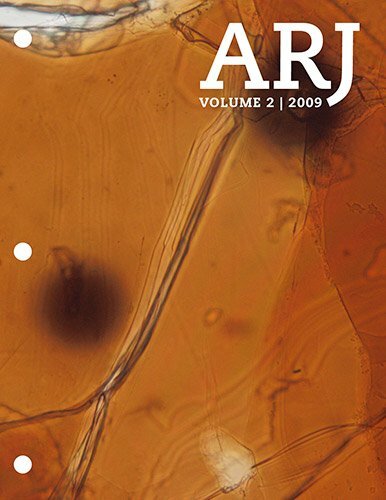 Retrieved April 21, 2009, from http://jhered.oxfordjournals.org/cgi/reprint/98/4/351. Steiner, C. C., J. N. Weber, and H. E. Hoekstra. 2007. Adaptive variation in beach mice produced by two interacting pigment genes. Plos Biology 5:e219. Retrieved April 20, 2009, from http://dx.doi.org/10.1371/journal.pbio.0050219. Våge, D. I., D. Lu, H. Klungland, S. Lien, S. Adalsteinsson, and R. D. Cone. 1997. A non-epistatic interaction of agouti and extension in the fox, Vulpes vulpes. Nature Genetics 15:311–315. von Sternberg, R., and J. A. Shapiro. 2005. How repeated retroelements format genome function. Cytogenetic and Genome Research 110:108–116. Waterland, R. A,, and R. L. Jirtle. 2003. Transposable elements: Targets for early nutritional effects on epigenetic gene regulation. Molecular and Cellular Biology 23:5293– 5300. Retrieved April 21, 2009, from http://mcb.asm.org/cgi/reprint/23/15/5293. Wilson, B. D., M. M. Ollmann, L. Kang, M. Stoffel, G. I. Bell, and G. S. Barsh. 1995. Structure and function of ASP, the human homolog of the mouse agouti gene. Human Molecular Genetics 4:223–230. Wolff, G. L., J. S. Stanley, M. E. Ferguson, P. M. Simpson, M. J. J. Ronis, and T. M. Badger. 2007. Agouti signaling protein stimulates cell division in “viable yellow” (Avy/a) mouse liver. Experimental Biology and Medicine (Maywood, NJ) 232:1326–1329. Wood, T. C. 2003. Perspectives on AGEing: A young-earth creation diversification model. In Proceedings of the fifth international conference on creationism, ed. R. L. Ivey, Jr., pp. 479–489. Retrieved April 21, 2009, from http://www.bryancore.org/anniversary/10.pdf. In some cases the MC1R has a low level of constitutive activity. When this is the case, the binding of agouti protein can decrease MC1R activity below its normal resting (that is, not stimulated by its ligand) state. In these cases, agouti is acting as an inverse agonist as opposed to just an antagonist. ICKs are generally said to have the penetrating bond between the 3rd and 6th cysteine residues counting from the N-terminus. It is true that this bond in ASIP is between the 3rd and 6th residues of those involved in the knot. There are four other cysteine residues which form two disulfide bonds not associated with the ICK, so the 3rd cysteine residue actually forms the bond with the 9th cysteine of the amino acid sequence.